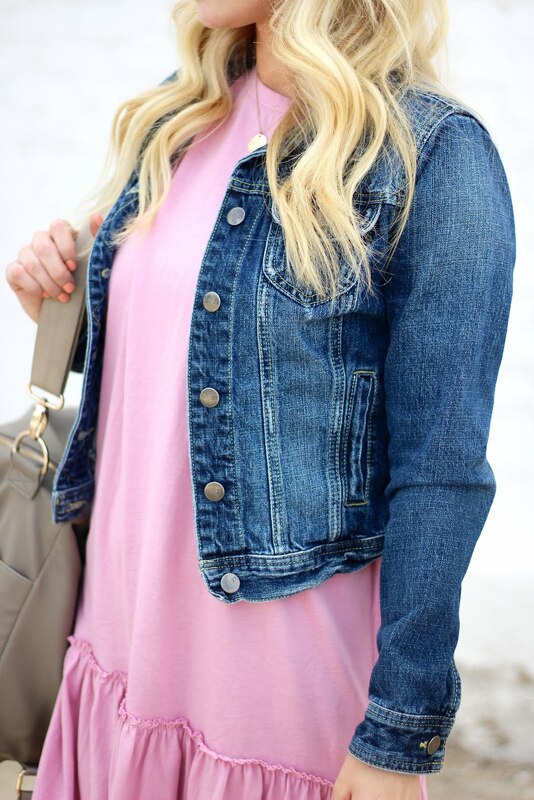 This little pink dress is one of my absolute favorites in my closet right now! 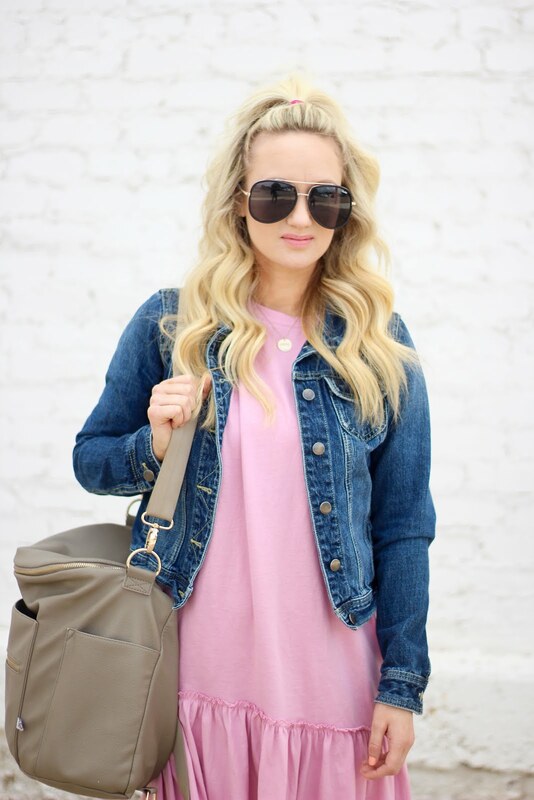 I love that the ruffle hem gives this basic t-shirt dress a feminine look. It is super light weight making it comfortable to were in the summer heat. 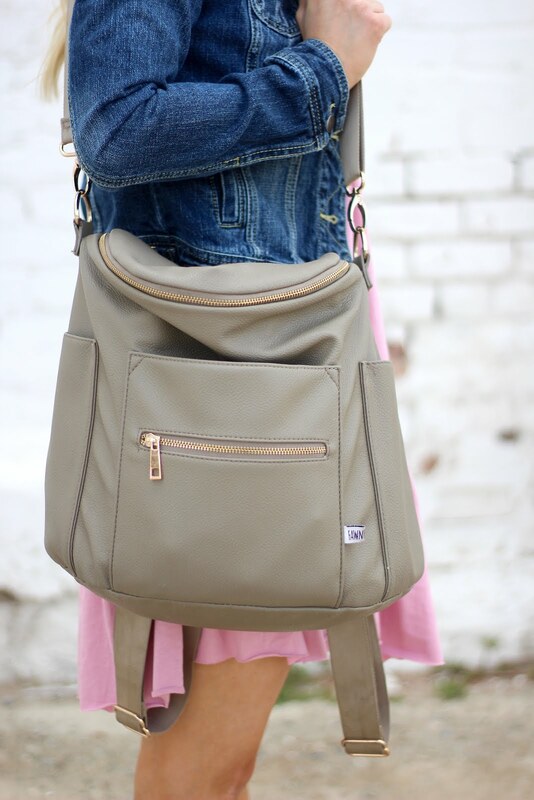 It is also looks super cute with wedges. And I just had the best time shooting this with my little guy! He is such a ball of fun!